The term “organic SEO” has become a marketing buzzword in recent years. Digital marketers can use organic SEO (search engine optimization) for independent insurance agents to help their websites appear higher in search results, effectively removing the hassles that can come from expensive pay per click (PPC) advertising marketing strategies. SEO for insurance agents involves conducting thorough industry research to determine what insurance related keywords web users are frequently typing into search engines. These keywords are then strategically placed throughout an insurance agency’s website content, which in turn helps search engines find the web pages more easily. As a result, SEO-friendly insurance websites will organically appear higher in search results above other insurance agents that do not use this marketing method. In this blog, you will learn the primary benefits your insurance agency can enjoy by integrating organic SEO into your insurance marketing strategy and and how these strategies can be effectively implemented to achieve success. SEO strategies can be difficult to implement for insurance companies, and ranking high on search engine results pages (SERPs) is not always an easy task to accomplish. Having an understanding of how competitive the insurance industry is when it comes to the dominating forces of PPC ads, the difficulty of capturing valuable keywords, and how much high quality content will generate leads can make all the difference when beginning your SEO efforts. Below, we explore some of the top reasons of why it is so difficult to rank without effective SEO for insurance agents. Insurance is a highly competitive industry, especially when it comes to marketing products and services online. 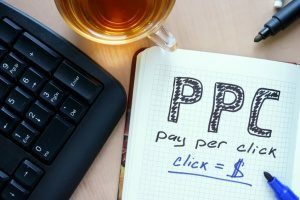 Out of all other industries, insurance agencies use the highest rate of PPC ads to market themselves successfully. Your insurance agency faces significant competition from larger, more established agencies in the industry that can effortlessly spend hundreds of thousands of dollars on PPC advertising. This leaves your independent insurance agency at a significant disadvantage and makes it more difficult to compete. Though you may be competing for the same audience as the bigger companies, they simply have a larger presence on the search engines. Outspending your competition may seem impossible without a significant blow to your budget, making an organic SEO strategy all the more important. As long as the most successful insurance companies comfortably stay at the top of the SERPs, they will have a continuous stronghold on the most commonly searched insurance keywords. As a result, your independent insurance agency faces stiff competition from insurance giants that use a deeper PPC ad budget to convert sales. When it comes to broader insurance keywords such “insurance agency” or even more localized keywords, you are facing an uphill battle. Implementing an organic SEO campaign, however, can put you well on your way towards gaining a foothold on your competition gradually over time. Content is king when it comes to SEO for insurance agents. There is no way around it. 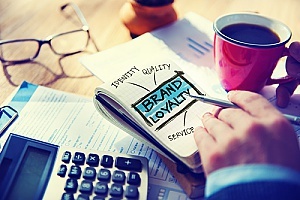 Without publishing high quality content about your products, services, and unique insights on the insurance industry, it is highly likely that users who are searching for your insurance agency will find nothing of higher value that separates you from your numerous competitors. If your agency does not make the effort to publish robust, informative content, you cannot expect to increase your qualified leads and convert sales. Your difficulty in succeeding with online marketing can ultimately fall on you if you have never considered an effective content marketing strategy. Why Use Organic SEO for Insurance Agents? SEO comes with a wide range of benefits for your insurance agency to help you stay competitive within the industry. Potential customers who find your website due to organic SEO are more likely to be qualified leads than those who are passively exposed to other forms of broad advertising you have been using. These potential customers who view your website link in SERPs have typed in keywords relevant to your site, meaning that they are seeking specific insurance quotes, rates, claim filings, and the wealth of information your site provides. However, searchers can just as easily lose sight of your agency if you do not have valuable content or a well-optimized website and may instead choose to click on your competitors’ websites to obtain what they are looking for. As a result of organic SEO, you can be confident that you are attracting users who are actively interested in your insurance company and what separates your agency from its competitors. This greatly increases your chances of capturing qualified leads and converting that visitor into a customer. To be successful, you will need an organic SEO strategy that will promote wider brand visibility and awareness, in addition to providing high value content that consumers desperately need access to. Organic SEO can also help your brand appear more credible to users. People tend to consider links on the first page of SERPs to be the most relevant, with the very first link on the page being often perceived as having the exact information they are seeking. Most users do not click past the first page of results, as they generally do not think that these links will be useful to them. The better optimized your website content is, the more likely it is to appear on the first page of results, helping users think of your independent insurance agency as a trusted, credible player in the industry. Individuals want insurance agencies that they can trust to handle their claims and provide quotes in a fast, professional manner, and a higher position in search results proves to potential customers that your agency can rise to the occasion. As a smaller agency in a crowded field, without effective organic SEO, your brand will be hidden from potential customers in the shadow of your larger competitors. The primary aspects of a campaign, such as quality design and optimization of your website, content marketing, building links to your website, among other digital marketing practices can organically raise your brand awareness to your target audience. Over time, users who search for your insurance services will find your website more easily and see your brand constantly appear on the front pages of SERPs. Improving your brand through organic SEO not only increases your visibility but also enhances the strength of your brand; therefore increasing the likelihood of capturing more of the audience you wish to market your insurance services to. By optimizing your website’s pages and publishing quality content to appear higher in search results, your agency automatically becomes more relevant to potential customers. For example, if the keyword “(insert your city here) car insurance agents” is a top search term in your area, creating a blog post centered around the keyword to highlight your agency’s car insurance expertise and services will attract potential leads. Not only will this page appear higher in search results for that term, but it will provide valuable content packed with information that they will likely find useful. By using this organic SEO content strategy, your agency can position itself as one of the most knowledgeable and trustworthy sources of information in your competitive industry and become a local authority on insurance. As a result, customers will ultimately be encouraged to purchase their insurance from your agency, since they will trust that your agency’s helpful information communicates your commitment to having their best interests in mind. The benefits of utilizing an organic SEO campaign are immense. As an independent insurance agency, you most likely want to make every effort to catch up to and stay competitive with the larger more prominent insurance industry leaders. 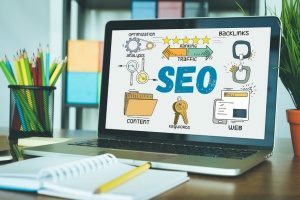 However, digesting all the information on SEO for insurance agents often seems overwhelming to most; however, you do not have to worry about implementing all these new techniques as a novice. While it is important to conduct thorough industry and keyword research before considering implementing a new marketing strategy, recruiting the help of a trusted digital marketing agency will pave a smoother path to success. At 321 Web Marketing, our SEO experts have years of experience working with insurance agency clients to help them convert sales and climb higher in search engines to develop into top competitors both regionally and nationally. We provide customized organic SEO campaigns for agencies that are tailored specifically to their marketing goals and plans for scaling their business. For more information on SEO for insurance agents, or to get started with your custom digital marketing campaign, contact 321 Web Marketing today.